Handbook of Industrial Lighting is a practical guide on the specification, design, installation, operation, and maintenance of lighting in industrial premises. Coverage of the book includes the importance of good localized lighting; the different lighting schemes; lighting for difficult visual tasks; lighting in consideration to safety; and emergency lighting. The book also includes the practical, thermal, ventilation, and energy considerations; lighting in different environments; maintenance of lighting installations; and the cost benefits of efficient lighting. Appendices include useful information such as UK legislation and codes on lighting; summary of lamp and luminaire data; and conversion factors. 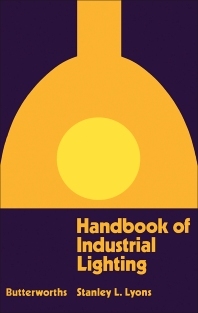 The text is recommended for those involved in the design, planning, and maintenance of industrial places such as factories and power plants.